This position serves as support staff to the Human Relations Commission and is funded through a contract with the County of Orange. The current scope of work focuses on areas of Police Community Reconciliation Program (PCRP), police-community relations, human relations issues awareness, community crisis response/support, trainings and workshops around culture diversity, respect, conflict resolution and reconciliation. Funding and scope of work are subject to change at the direction of the County and/or Commission. Be flexible when responding to calls during the work week and on weekends. Benefits package provided, including: health, dental, 401(k), life insurance, 11 paid holidays, 9 sick days, 10 paid vacation days, and others. At OC Human Relations we believe ALL people have a right to live free from discrimination and violence based on any aspect of their being. 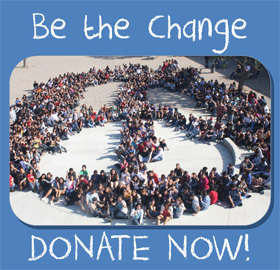 Founded in 1991 as a non-profit 501(c)3 organization, OC Human Relations is a nationally recognized leader in creating safe, inclusive schools and communities, developing diverse leaders, mediating conflict and building respect and inclusion among all people. OC Human Relations helps shape the future through innovative programs like BRIDGES Safe and Respectful Schools, Police/Community Reconciliation, #HateFreeOC, Restorative Justice, Intergroup Dialogues, Hate Crime documentation, Police training in Implicit Bias, Immigrant Parent Leadership Institute, Community Building, Diverse Leadership Development, Mediation and Conflict Resolution, and OC Human Relations Commission.